It's a dreary, rainy day outside but we don't mind. We're enjoying a relaxing day together inside where it's toasty, dry and warm. It's nice when everyone has the day off. I was going through my cards this morning and trying to organize them. Sometimes one or two slip through the cracks and I forget to actually share them with you. GASP!! This card is one that I created as my swaps for Convention this past July. I loved the "Hot Diggity Dog" stamp set as soon as I saw it in the catalog. It just makes me smile. Now...before I show it to you I want to tell you about a new feature here on my blog. I will be adding the products used for each project that I showcase at the end of each post. The best part is....when you click on the product, it will take you to my Online Store so that you can quickly and easily add it to your order. How cool is THAT?? 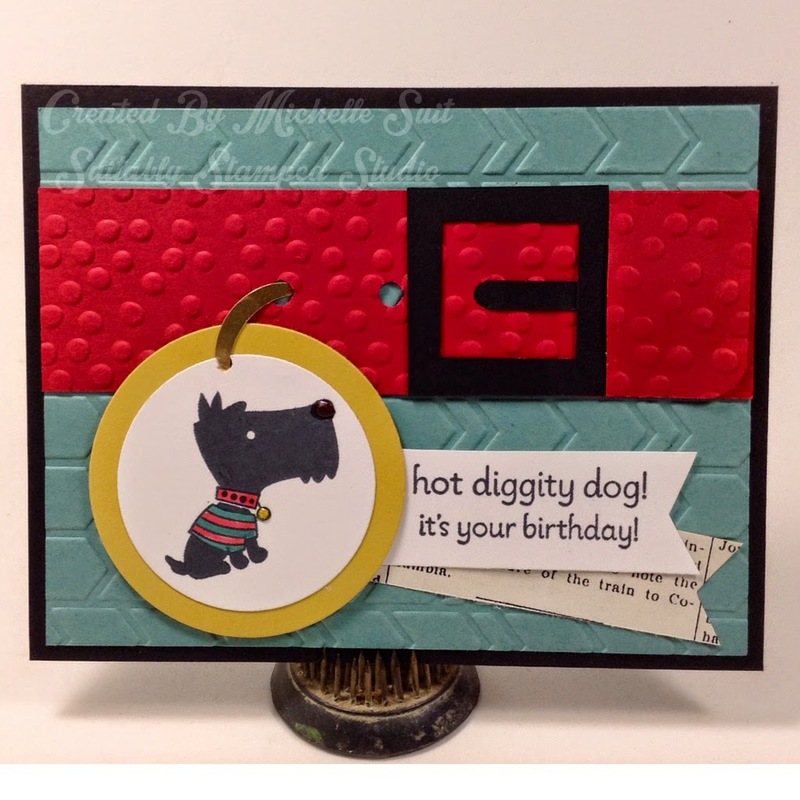 I had so much fun creating the fun "dog collar and tag". I think my favorite part is his shiny nose. Just a couple drops of Crystal Effects and VOILA! Okay....here are the supplies used on this project. Remember....all you need to do is click on the item to add it to your order at my Online Store. Shop 24/7...no lines...no waiting. Wishing you a magical day! Love this cute care. I enjoy your blog and follow. Be sure to follow us back. SU! rules. I love the card. How did you make the buckle? Ethereal theme. Theme images by rusm. Powered by Blogger.